The GS is the first ever SUV to come from MG and rivals the multi-award winning Nissan Qashqai, a car that’s had more awards than I’ve had hot dinners. 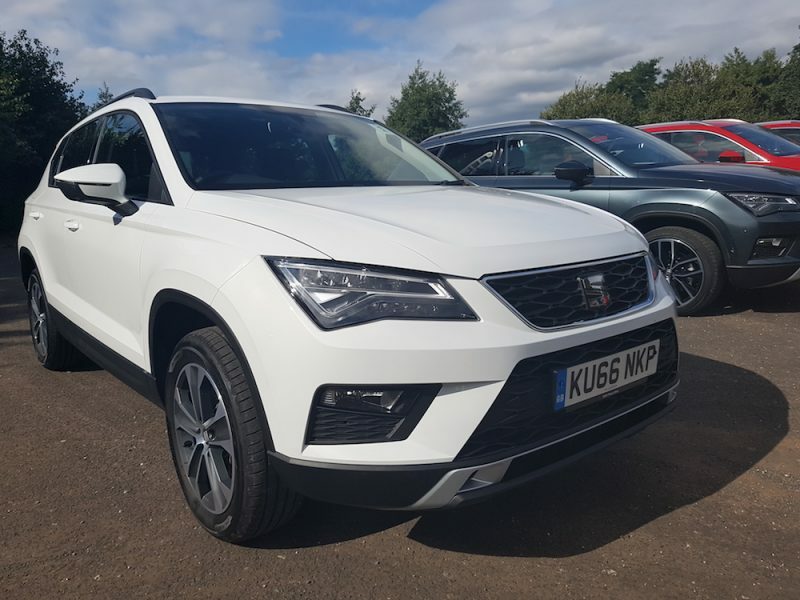 So it’s fair to say the GS has its work cut out, but it does have price on its side – the base model is £14,995, around £3,500 cheaper than the Qashqai. Will it be enough to tempt buyers away from Nissan’s offering? Let’s delve deeper. 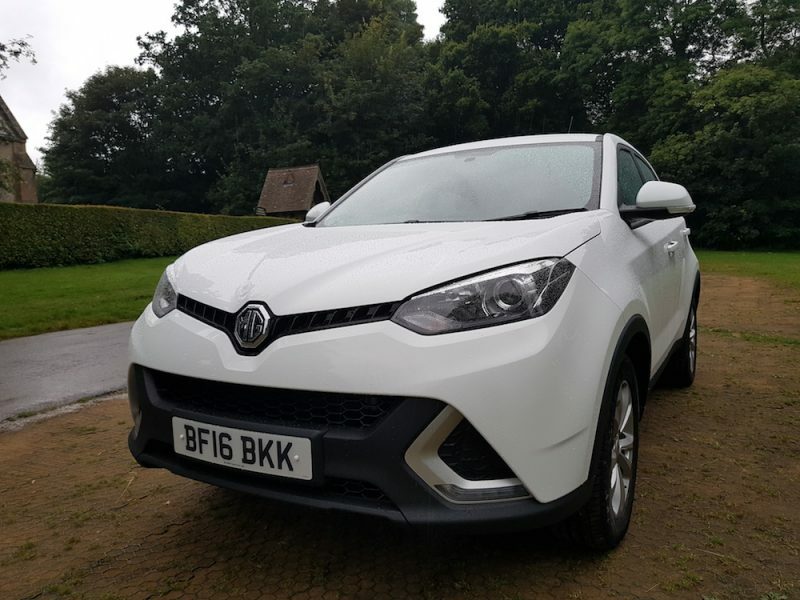 The GS is a rather handsome car but the front end certainly has similarities with the Renault Captur – not so much a criticism, more of an observation. My test model came in Artic White which looked pretty good although when I looked closely I found the bumpers were a slightly different shade to the body. 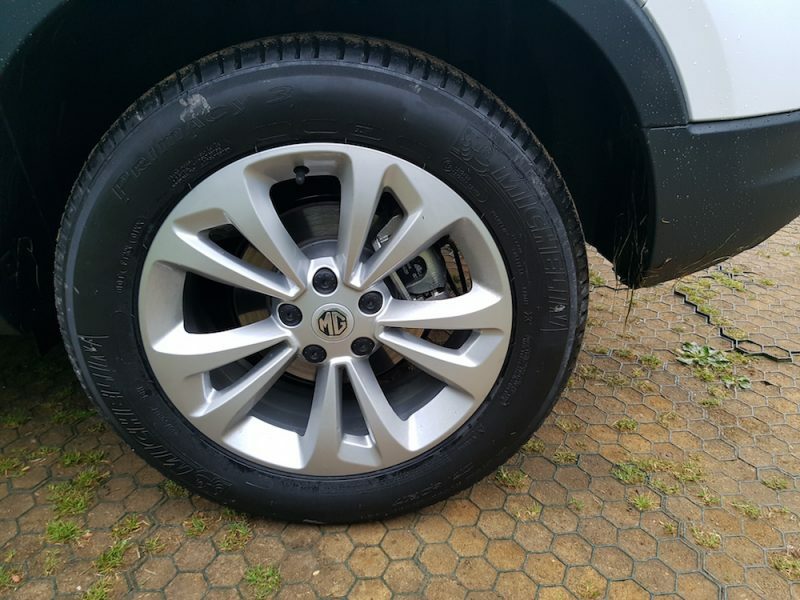 The GS sits on 17” alloy wheels which come as standard on the Explore (base) and Excite (mid-range) – it’s the Excite that features in this review. 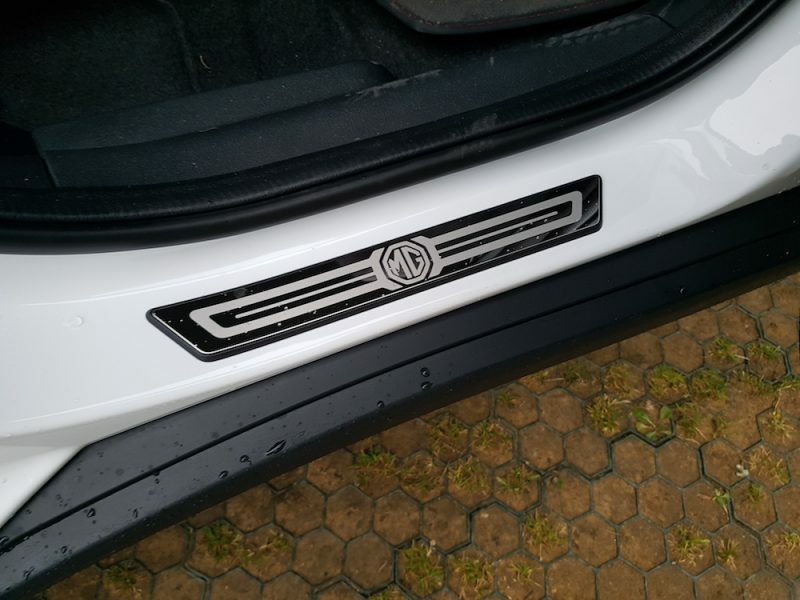 The inside is an improvement on the MG3 although the hard scratchy plastics are still present. To help make the inside sophisticated there is leather trim around the centre console and gloss-black panels on the dash. 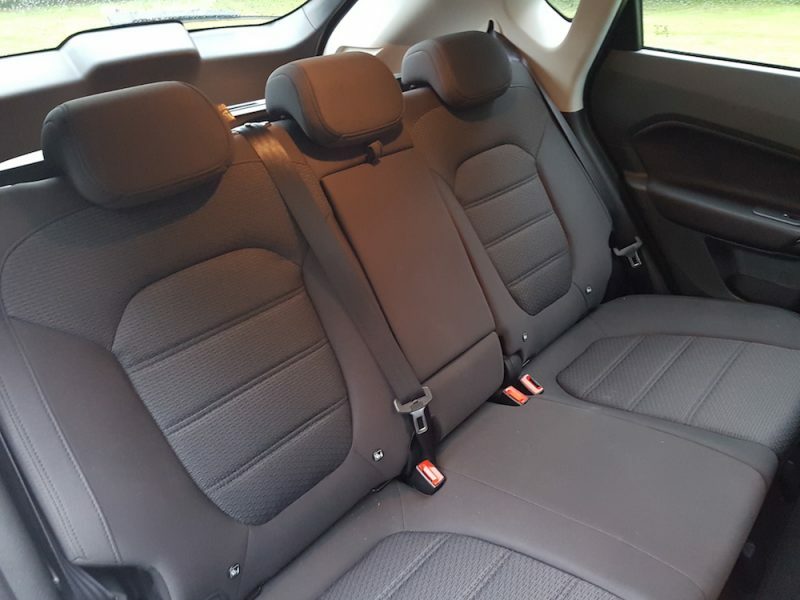 The fabric seats have got a modern yet subtle design – leather seats are available on the top spec Exclusive which are also heated. 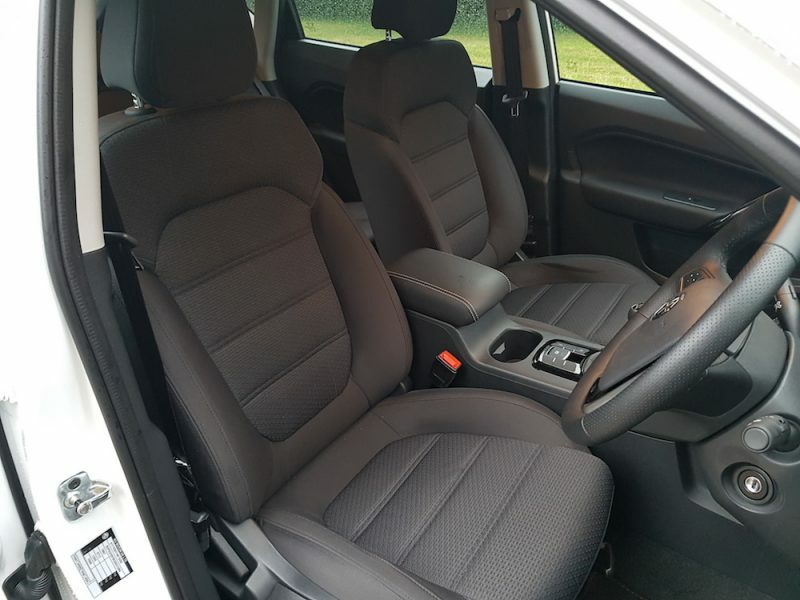 Step inside the GS and you won’t be wanting for space, there is plenty of room whether you are in the front or the back and the boot should be more than capable for your needs although I found it to be narrower than the one in the Qashqai. 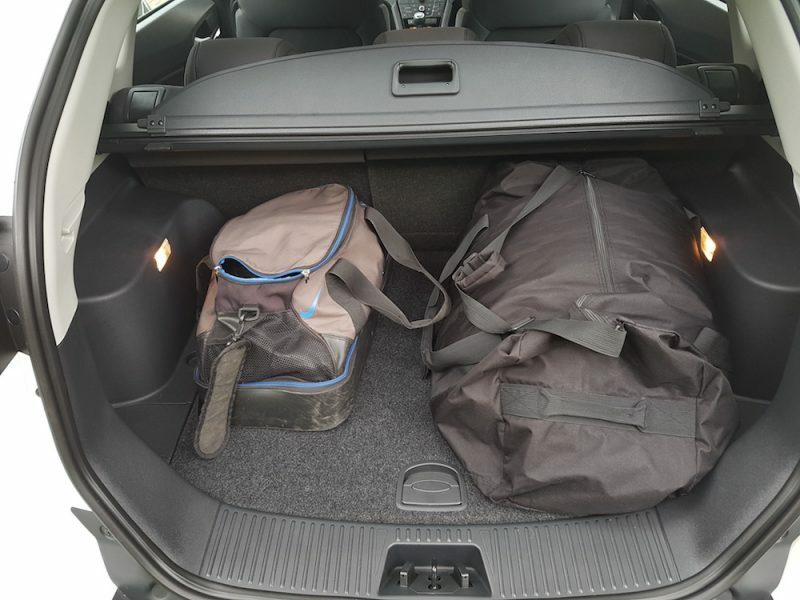 It is bigger though – the boot in the GS is 53 litres bigger than the Qashqai (483 litres compared to 430) and it can be increased to 1,336 litres by folding down the 60/40 rear seats. In terms of the comfort the GS is certainly a nice place to sit, the fabric ‘sporty seats’ are supportive and comfortable, which is just as well as the ride is busy. However, my wife said the rear seats weren’t as comfortable because they weren’t as supportive. The suspension is firm but thankfully it’s a bit more forgiving compared to the MG3 but you’ll find the ride busy and unsettled on most road surfaces. It’s perfectly acceptable when you’re driving in-and-around town but take out of the suburbs on faster roads and you may find the choppy ride an annoyance. I wouldn’t go so far to say it’s uncomfortable but it can definitely prove as an unwelcome distraction. The GS comes with just one choice of engine – a 1.5 litre turbocharged petrol, so for those of you looking for the economy of a diesel you’ll need to look elsewhere. It does offer a good level of performance though – 164bhp is produced by the engine and is able to propel the GS to 62mph in a respectable 9.6 seconds. 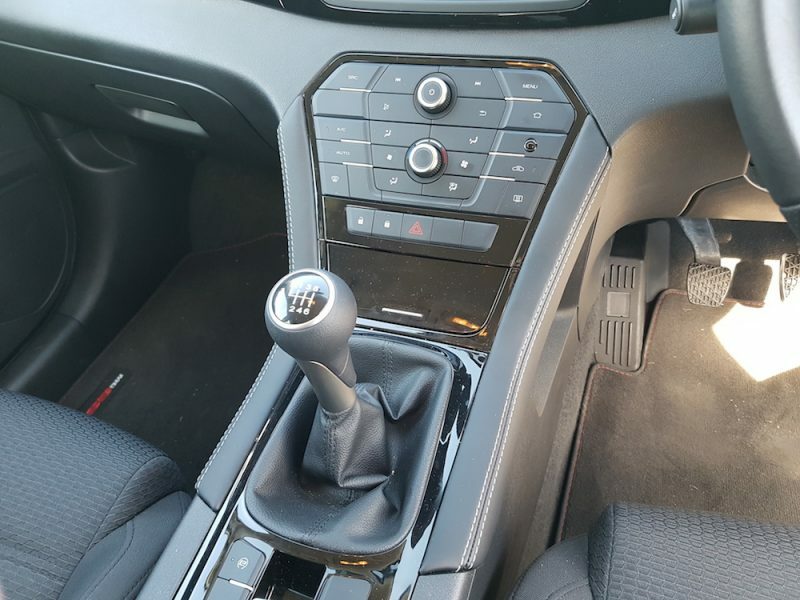 It’s mated to a six-speed manual gearbox which is thankfully better than the five-speed manual I used in the MG3. It’s still not perfect though but it’s pleasant enough for everyday use although the GS likes to hold on to its revs so smooth gearchanges were difficult at times. There is no option of a four-wheel drive option but let’s face it, not many buyers embark on serious off-roading in their SUVs. 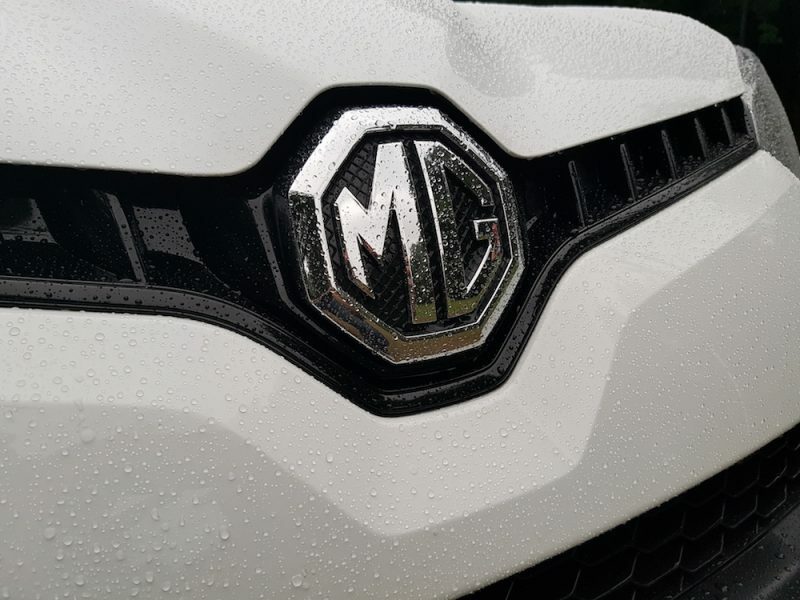 As you’d expect from an MG, the GS handles well and despite its size it’s quite good fun in the bends. The steering has a nice weight to it although I found there were times the wheel needed more lock than I would have liked. There were also times where I would have liked more grip from the front tyres as they struggled a bit at times. So the GS is able to offer good performance for the price and good handling too but the unsettled is certainly a drawback. This is definitely the GS’ strong point as MG has packed a good level of equipment in the SUV. 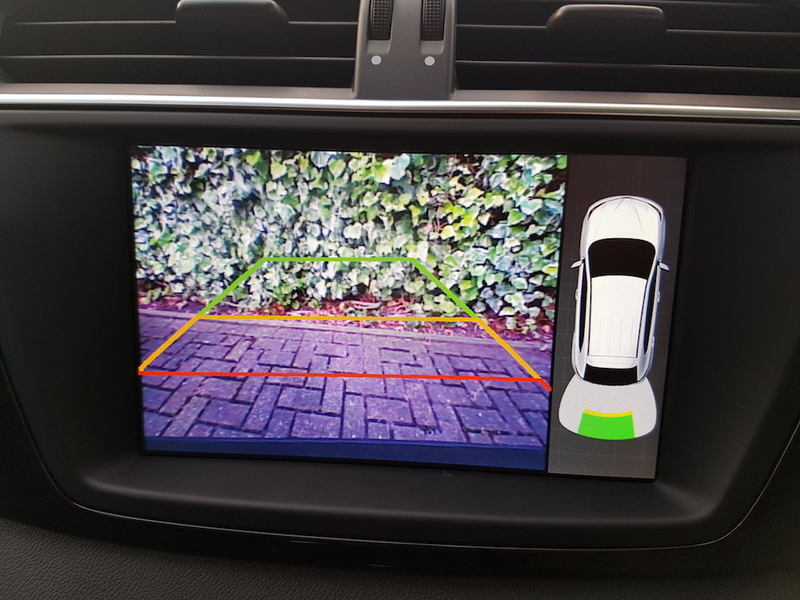 The model tested was the mid-level Excite model which starts at £17,495 and includes touchscreen functionality with bluetooh, DAB radio and MirrorLink, automatic headlights with LED running lights, cruise control, automatic air conditioning, rear parking sensors and camera, electric windows and USB/Aux ports. Even the Explore gets a generous serving of tech although the smaller touchscreen installed does not have bluetooth capability which I think is unusual and a bit disappointing. The base model has everything you need including electric windows, air conditioning and AUX port but I think the Excite is a more appealing purchase. The GS comes with plenty of kit, that’s for sure. If money is no object, you can opt for the top spec Exclusive which is priced at either £19,495 or £20,995 depending on whether you go for the manual or DCT option. The Exclusive adds to the Excite spec with features such as heated leather seats, sat nav, ‘lazy key’ and zenon headlights. The GS makes do with just one petrol engine and there is no option of a diesel at this moment in time, there are talks of a diesel coming but that is yet to be announced. 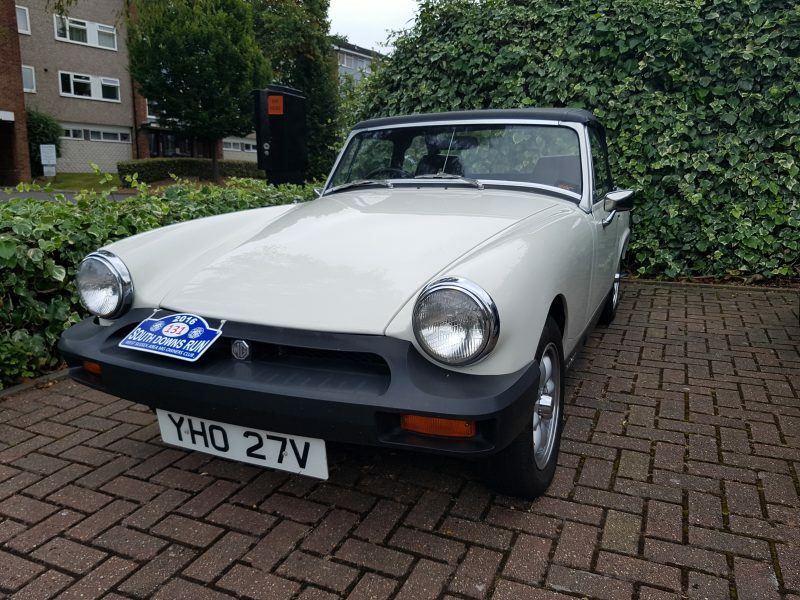 The mpg figures from the GS were nothing to write home about – 36.3mpg was the best I could muster on a combined journey which is exactly 10mpg less than MG’s quoted figure. On motorway journeys I was able to get around 40mpg and in-and-around town I was getting anything between 26mpg and 32mpg depending on traffic. The engine does have a stop-start function to aid fuel economy but the lack of diesel engine is a blow to the GS. 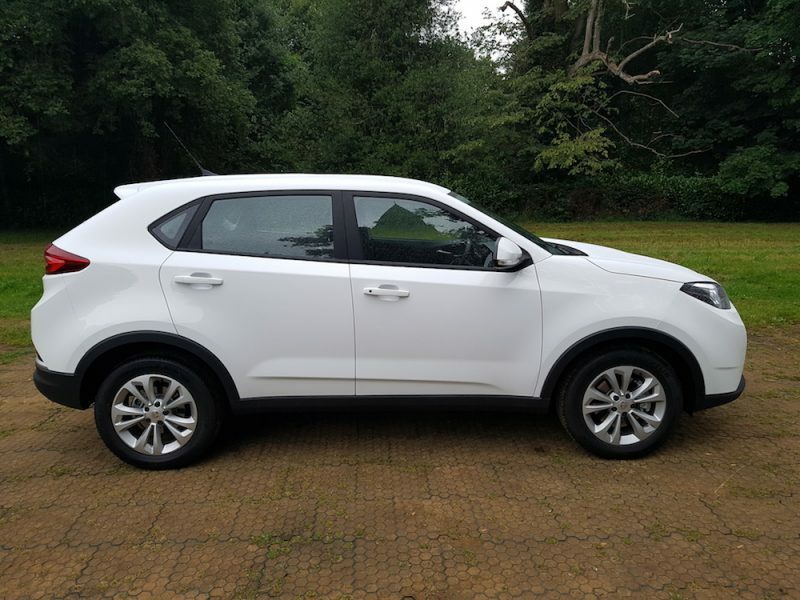 The MG GS is by no means a bad car but I feel it may struggle in the uber-competitive SUV market. It offers a good level of performance and handling but the busy ride and lack of diesel engine is likely to put off buyers. The GS may be around £3,500 cheaper than the Qashqai but I feel customers will be willing to pay the extra in order to get a better car. 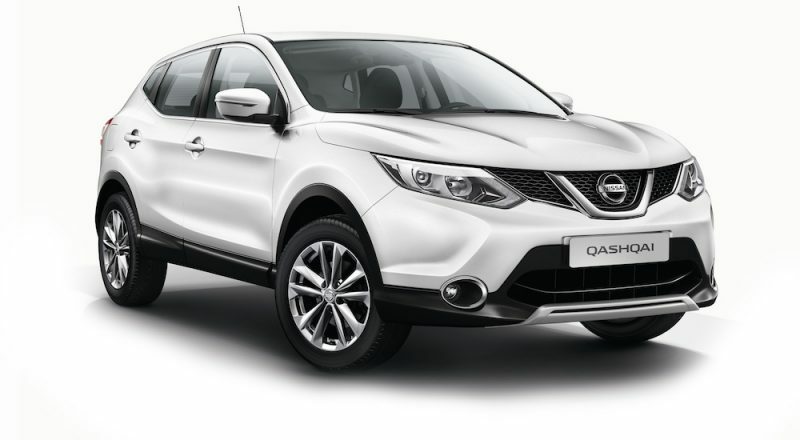 Nissan Qashqai: The Qashqai is the immediate rival to the GS and will be a formidable opponent thanks to its extensive trophy cabinet. The Nissan may be more expensive but the quality is higher and the ride is more refined whilst still offering a good level of handling. 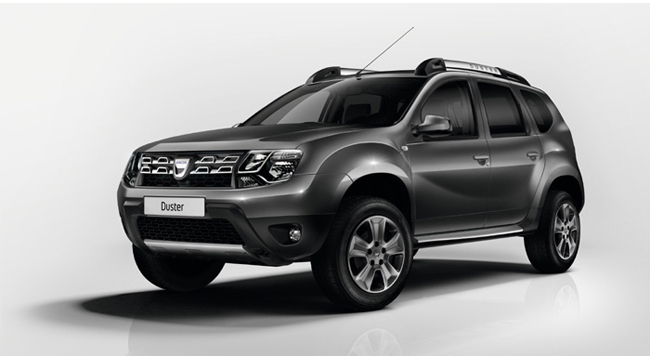 Dacia Duster: The Duster is also worth mentioning although the inside is rather dull and even more plasticky than the GS but it is cheaper – the base model starts at just £9,495. 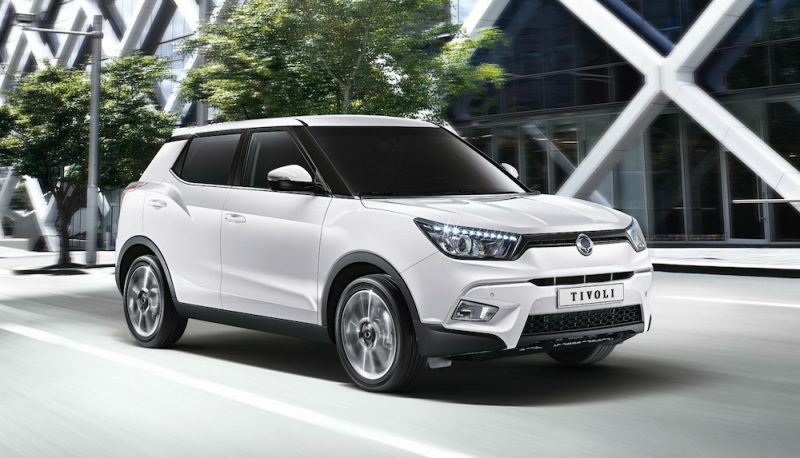 Ssangyong Tivoli: The Tivoli is also cheaper than the GS and is better looking in my opinion. You get even more for your money and I think it’s a better looking car as well.